Everyone wants to live healthier, if only to avoid the distress and danger of having serious problems like diabetes and blocked arteries. Unfortunately that's not always enough to get Americans to eat better, even when they know what's at stake. 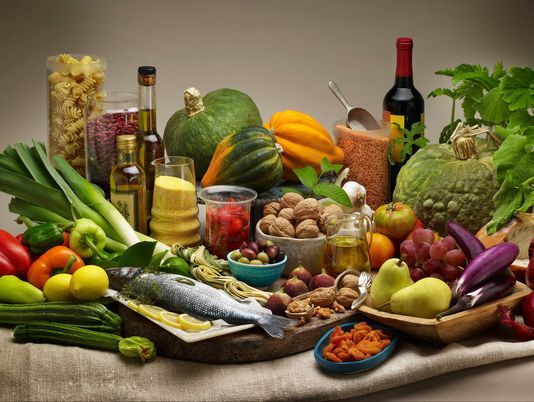 Last month a much publicized study in the New England Journal of Medicine confirmed that a "Mediterranean diet" is a clear winner for heart health, but try wrestling a steak away from a Texan with the lure of olive oil, nuts, and fruit instead. That's why University of Texas Health Science Center San Antonio (UTHSCSA) research scientist Reto Asmis is studying the biochemical basis of the Mediterranean diet with the aim of producing a food supplement that does what the healthy diet does without a wholesale change in our eating behavior. Will South Texas Get a New Medical School and Research University? The southernmost tip of the great state of Texas is known as the Rio Grande Valley (see map below), and University of Texas Chancellor Francisco G. Cigarroa is campaigning hard for the establishment of a South Texas School of Medicine, to be part of a new regional University of Texas research campus. UT already has two smaller campuses in the Rio Grande Valley, in Edinburg and Brownsville; mid-way between those two border cities is Harlingen, which is currently home to a Regional Academic Health Center that, under the Cigarroa plan, would become a full-fledged medical school. The new UT university campus would incorporate both the Brownsville and Edinburg college campuses, but with greater resources available to strengthen its research capacity. 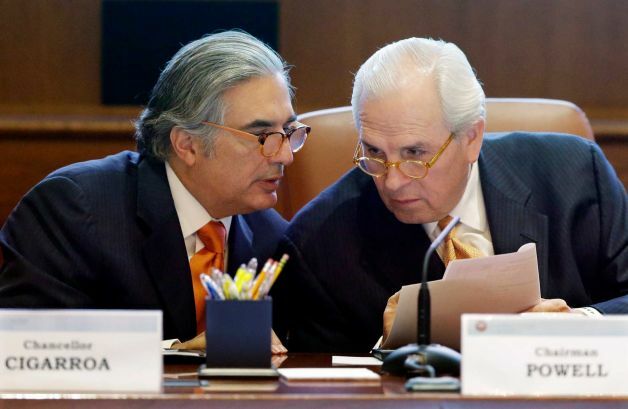 UT System Board of Regents voted to approve both plans last month. 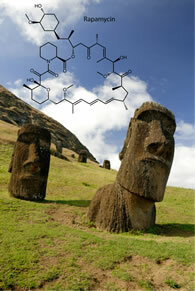 The next step is to convince the state legislature to give its support. San Antonio, Texas is a good place to be if you're a nurse. According to Workforce Solutions Alamo, the demand for nursing jobs in the county will increase by 1,800 positions in the next four years. This is good news for the University of Texas Health Science Center, the only college in the region that offers a doctorate nursing progam. The Health Science Center educates more than 800 students per year in its nursing college alone. Stem cells are remarkable for the promise they hold to regenerate diseased or otherwise compromised organs and tissue in the body. At the University of Texas Health Science Center in San Antonio, researchers at the Barshop Institute of Aging and Longevity Studies are particularly focused on how a patient's own stem cells can be used to treat degeneration caused by aging, such as bone loss. Proprietary cells (i.e. ones from your own body) are the best biological match for therapies to treat you, but the problem is that they're too mature and therefore much less effective than young cells in transforming themselves into new and useful parts. Some people have begun to bank cells from birth, such as those from the umbilical cord, for a child's future need. For the rest of us, there is the very real possibility of coaxing our own older stem cells into a more youthful, robust, and potent state by growing them on a younger scaffold. 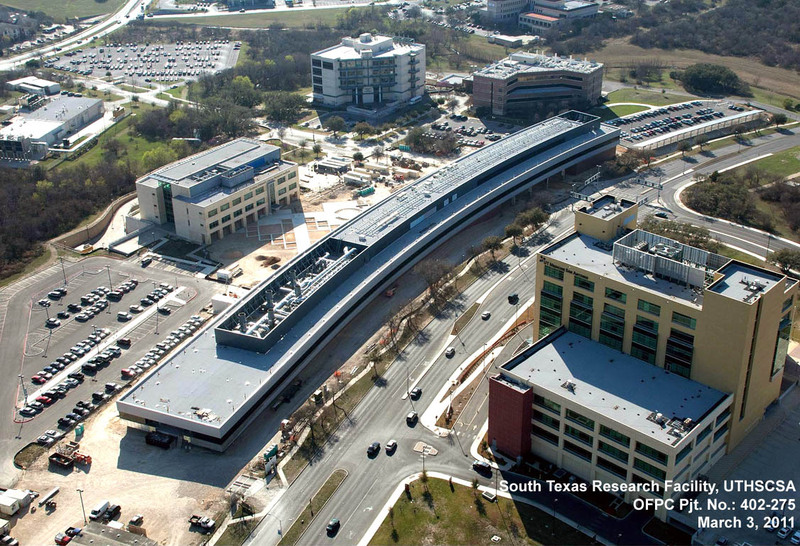 San Antonio is about to celebrate the opening of a major new science research building: the STRF, or South Texas Research Facility on the campus of the University of Texas Health Science Center. The 190,000sf state-of-the-art research facility is stretched over only three floors, so the building is low and long: 1000 feet long. If you tipped over the Eiffel Tower...well, you get the idea. UTHSCSA started planning the new lab and office space three years ago when it became clear that their research faculty was growing at a healthy rate, but their facilities were not keeping up. When it is fully occupied, the STRF will house 350 faculty and staff members. Plans are to fill 60% of the building with current faculty and their research teams and to use the remaining space for new recruits, specifically 15 to 20 top scientists and their associates to be brought on board. 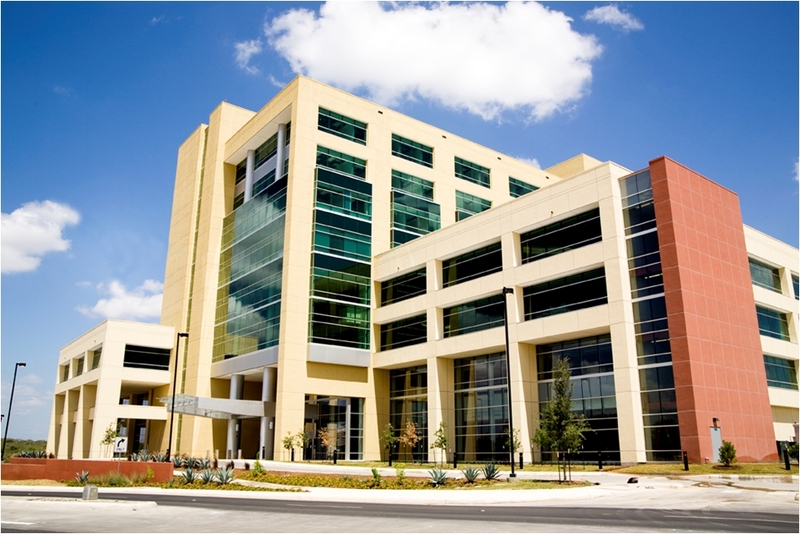 University of Texas' Health Science Center has received more funding from the San Antonio city council to help complete a $150 million building, scheduled to open October 13.